Getting dressed can be a bit of a headache while we’re transitioning into a new season. Luckily, the decline in temperature is perfect for bringing out our beloved leather pieces and trench coats. 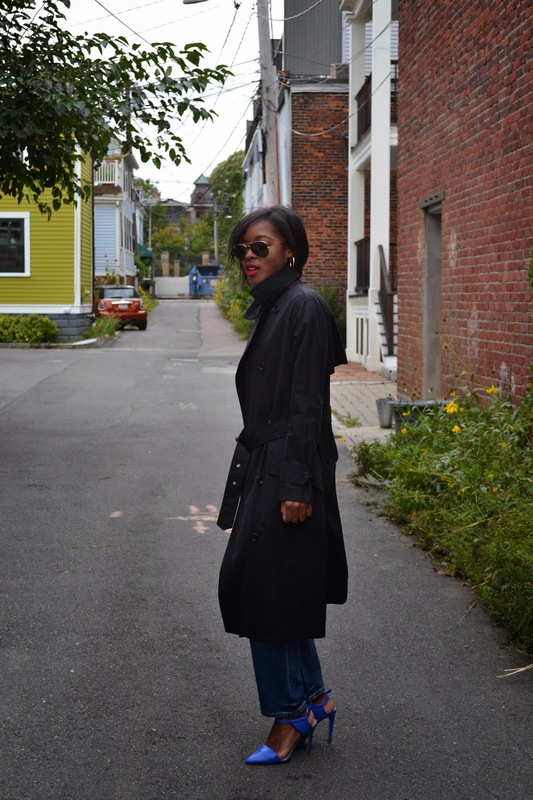 For the longest period of time, I had been on the search for the best fitting trench coat preferably in black or navy-blue of course. 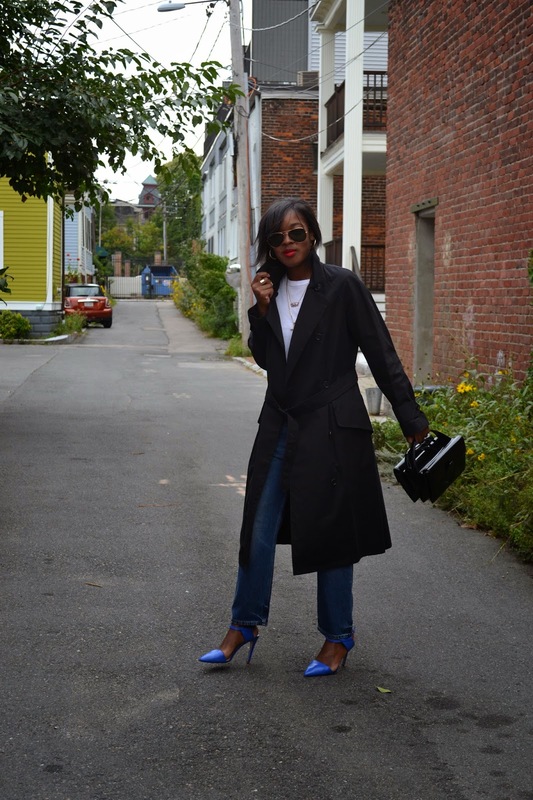 Just over a few months ago, I found exactly what I was looking for when I strolled into my favorite hidden gem in Boston, The Closet. This particular style had been in Barney’s and immediately caught my eye. The decadent detailing of The Row, just gets me every single time and I had to have it. Strangely after one season, it found its way into The Closet along with a silk turquoise blazer that was gently worn and gently priced. 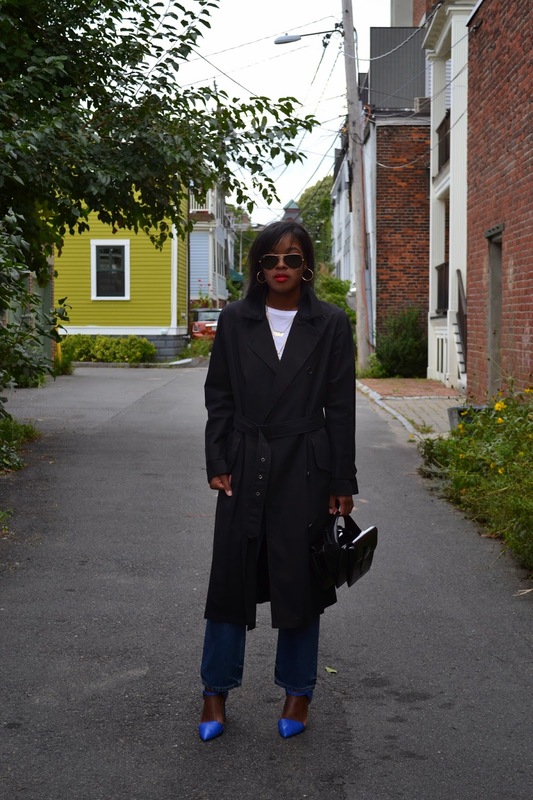 Fast-forward to the other gloomy day, I paired the trench coat that is arguably one of the best purchases I’ve made thus far in this lifetime, but it also looks great with just about everything I own. During this period of time theirs a lot to think about when picking out your outfit for the day. You then start talking to yourself as if anyone is listening — How much is too many layers? or Can I get away with wearing a pair of Birkenstocks and such along with my leather jacket and boyfriend jeans? With so many things running through your mind at such a crucial part of the day, I’ve been opting for minimal layers and bit of color blocking after seeing the SS’15 shows at New York Fashion Week (i.e oversize t-shirt, boyfriend jeans, and you guessed it a trench coat.) to avoid any sartorial frustration. To be completely honest, I put this outfit together much quicker than expected and don’t judge me if you see me wearing a variation of the same thing throughout the week. 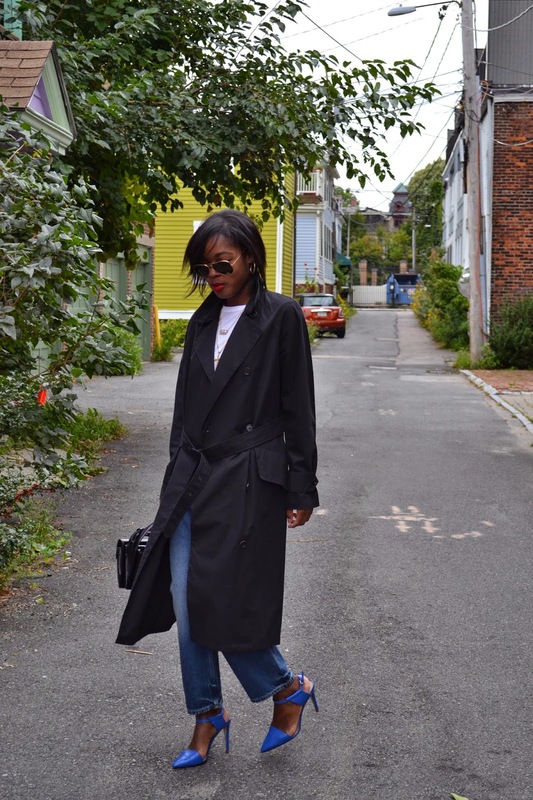 The Row trench coat, Alexander Wang t-shirt, Acne Studios boyfriend jeans, Alexander Wang ‘Racketeer’ satchel, Ray-Ban aviator sunglasses.